Paul Barrett is an Assistant Professor in the Department of English at Concordia University. and the author of Blackening Canada: Diaspora, Race, Multiculturalism. Philip describes herself as a “disappeared” writer who has paid the price for her activism with her erasure from Canadian literature. In a recent essay published in The Puritan, Kate Siklosi expertly demonstrates this disappearance and the “archive of silence around Philip and her work in Canada.” While many of her contemporaries have taken up comfortable positions as creative-writing instructors or editors in publishing houses, Philip has yet to find prominent footing in the larger CanLit scene. Outside the country, she has been given the Casas de las Américas prize and a Guggenheim Fellowship among other international honours, but she has never received any major national literary award at home. Her 2008 collection, Zong!—about the 1781 murder of Africans thrown overboard on the orders of a slave-ship captain—was mostly ignored by Canadian critics despite being praised around the world. Given Philip’s polemicism and her poly-vocal experiments with form, it might not be surprising that she would be seen as an outsider to the tonier CanLit communities. What is surprising is the extent to which she is also missing from the contemporary debates that have transformed CanLit. Philip’s history of disruption is directly relevant to our current discussions over cultural appropriation, antiblack racism, and exploitation in Canadian literature and publishing. Yet it’s hard to find major essays on the current state of CanLit that make reference to her work, she has been notably absent from panels discussing the topic, and isn’t a contributor to Refuse: CanLit in Ruins, the new anthology of criticism on the “raging dumpster fire” that has consumed the Canadian writing scene. In a cruel twist of irony, Philip’s work seems to have been doubly disappeared by today’s emerging community of CanLit writers whose own arguments echo the critiques Philip has been making for years. When Alicia Elliot, in an important essay about the “stubborn, lagging institutions” that prop up Canadian literature, asks, “How is CanLit continually making the same mistakes?,” a clear answer is that we forget our history. Ignoring the work of critics like Philip, we stand to repeat the same struggles. It is in this context that Philip’s new collection of essays, letters, and interviews, Bla_k, is a rich and necessary addition to the Canadian cultural and literary conversation. Bla_k is a series of essays on topics ranging from criticism on art, politics, and race to more poetic meditations on black life in the Americas. Philip’s work fills in many gaps in the historical record—linking, for instance, today’s cultural-appropriation debates with the splitting of the Women’s Press in 1988 over white writers appropriating the voice of nonwhite characters. 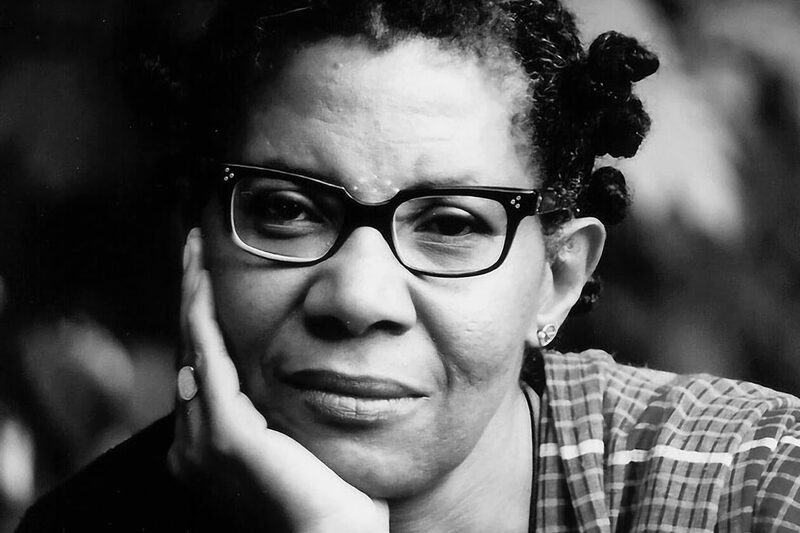 She reminds readers of the 1984 decision of the League of Canadian Poets to refuse entry to dub poets Lillian Allen, Clifton Joseph, and Devon Haughton on the grounds that they were “performers” rather than “poets.” Philip uses the historical record to enrich today’s debates. “What surprised me in the response to the Boyden matter in 2016,” she writes, referring to the controversy over novelist Joseph Boyden’s claims of Indigenous ancestry, “was the sole focus on issues of identity, almost to the exclusion of all others. There was no reference to the 1984 debate that had raged across Canada’s literary community.” For Philip, such forgetfulness encourages “greater erasure” around issues related to racism. Her analysis of cultural appropriation is both surprising and convincing. 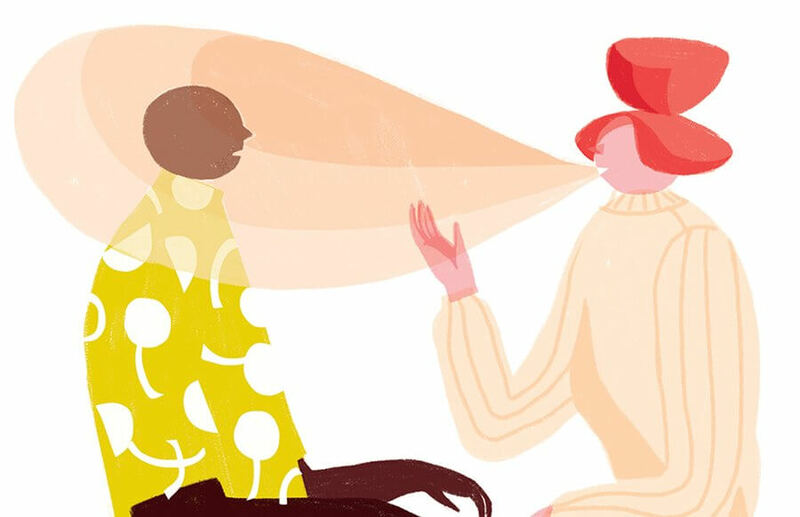 She argues that prohibiting white writers from adopting the voice of an “Other” is not only impractical and unenforceable but that it “alters not one iota of that invisible and sticky web of systematic or structural racism. If all the white writers interested in this type of writing were voluntarily to swear off writing from the point of view of persons from other races and/or cultures, it would not ensure that writers from those cultures or races would get published any more easily, or at all.” Philip is suspicious of symbolic victories and instead stresses the importance of material change in Canadian institutions. The debate about appropriation, she argues, is a stand-in for the debate we should be having: one about racism. Her real concern are white writers who want to enjoy the privilege to use any voice or point of view they choose but who are reluctant to upset the structures that silence marginalized writers. The double meaning of blank/black also speaks to Philip’s struggle to contend with the enforced silences she has encountered. She explains that, when she arrived “in Canada, it felt as if there was not a tradition that I could engage with—either in embrace or rejection” and that “after twenty-five years, I’m still hunting, trying to find the word or words to describe the Middle Passage, site of so much grief and trauma, final home to so many of us.” Part of her effort to contend with the “rupture that is Africa and the Caribbean” in Western history is to both “acknowledge the silence” while paying heed to the poet’s impulse for a language to describe that silence. “The question is, do you—should you—turn the horror of a particular history into something beautiful?” This question, ultimately about a writer’s responsibility to her audience, haunts Philip throughout the collection as she meditates on the relationship between politics and poetic voice, the history of colonialism and contemporary questions of race, and the place of blackness in Canada. A trained lawyer and successful poet, Philip brings both sensibilities to bear on her topics—topics which include her skepticism toward any kind of settled identity or simple notion of belonging. Philip was born in Tobago, and in “Echoes in a Stranger Land,” she offers a cautious statement about her own affinity to her adopted nation: “I have for the last twenty-give years—almost—made Canada my home, another word of apparent fixity yet also subject to a dangerous fluidity.” Philip aims to locate this dangerous fluidity that lies beneath the surface of any articulation of belonging. “I write memory on the margins of history,” she explains, “in the shadow of empire and on the frontier of Silence; I write against the grain as an unembedded, disappeared poet and writer in Canada.” Yet even as she excoriates Canada for its history of racial injustice, she poses the question, “How do we lose the sense of being ‘othered,’ and how does Canada begin its m/othering of us who now live here, were born here, have given birth here—all under a darker sun?” It is refreshing to read a critic who resists the gesture to completely denounce the nation but instead dares to imagine how Canada might reckon with its own racism and be transformed from within. The language of social critique gives way to vibrant demotic—the language of what Philip calls “tongue licking up against tongue”—to provide a vision of escaping the policing and restricting of black creative expression. In a Canadian literary landscape that too often forgets to look back, Philip offers a model of a critic and public intellectual whose practice is founded on insight, careful reading, and reasoned argument. Embodying American writer James Baldwin’s assertion that “artists are here to disturb the peace,” Philip’s newest collection is a profound disturbing of our peace. May we have the sense to listen and remember with her.